Entrance is via the main West Front of the Cathedral, follow signage to the toilets, Cloisters, cafe and Chapter House, and we are there on the north side of the building. Exit will be via a side door from the Chapter House, which brings you out on the other side of the Cathedral, close to the Tennyson Statue. The show starts at 7.30pm, with the first half running to an hour. After a 15-20 minute interval, the second half is a little longer. The show will be finished by 10pm. In the interval refreshments will be for sale and some merchandise too, including a book about the Lincoln Mystery Plays by Keith Ramsey who resurrected them for a modern era and translated the text you see and hear today. Tickets are possibly available on the door. If an evening has sold out, this will be posted on Twitter and Facebook. Please note all FOH transactions are cash or cheque only. A programme is available to buy at £3 too, before the show and also in the interval as well as tea and coffee. The auditorium is all seated, with some raked seating to make it easier to view the action. Seats are not allocated and there is room available for wheelchairs at the front, with ramp access. Please email us should you need wheelchair access so we can reserve space for you and your party and we’ll have your name on the door so we can assist you. While we do stress the need to bring warm and waterproof clothing – given the nature of an English summer evening – in the interests of other patrons, we do ask you not to put umbrellas up during the performance. There will be a limited number of blankets for loan and ponchos for sale at just £1. Please also be aware that as you move around, there are a few low-lying gravestones in the grass. The show will continue through light rain, but in the event of a heavy shower the stage management team will take the decision on a temporary halt and moving the audience under-cover for its duration. Enduring the weather is all a part of the experience though. Refunds would generally only be considered in the event of serious illness or hospitalisation preventing attendance, as is usual. Please do not take photos or video of the performances. It is possible that the performance is filmed and by being in the audience you agree to the possibility of being captured within the footage and for the footage to be used and broadcast. Should you require extra tickets over and above those you have bought already, because the seats are not allocated, you would be able to buy these and seat all of your party together. Additional tickets can be bought from the Cathedral Shop (01522 561664) during opening hours, online through Eventbrite, or where available at the door on the night. You will find plenty of scope for laughter and some singing too, should you want to join in (words in the programme). If, as we hope, you enjoy the show, please share this with friends and family so that they too might be inspired to be a part of this special once only four years experience. You might also want to know more about the Lincoln Mystery Plays, to get involved or follow our plans for an Armistice commemoration in November 2018 and the next Mysteries in 2020. You can sign up to our newsletter at this link or at the bottom of the page. 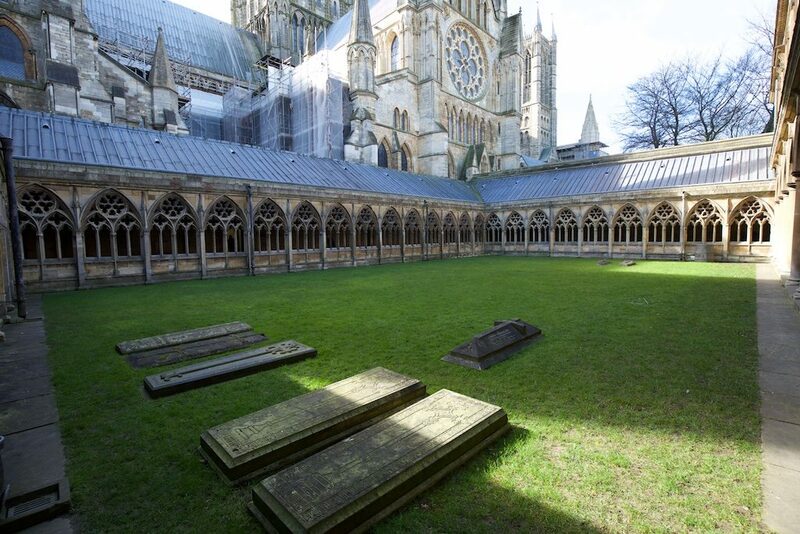 The Lincoln Mystery Plays are brought to you by a charitable community trust dedicated to keeping the ancient tradition of Medieval Mystery Plays alive within Lincoln and surrounding area. Get in touch for more details. Again, the cast and crew wish you a most enjoyable time.